There is no single staffing structure, or approach to reviewing staffing, that will suit all schools. Contextual factors play an important part in getting the structure right for your school. These include Pupil Premium funding, pupil demographics and school improvement priorities. Supply Desk Operations Director, Clare Othman, shares her top tips on how to pro-actively manage staffing gaps and how you can use outstanding vacancies to your advantage both operationally and financially. We all know the importance of listening to your staff and keeping a close eye on workload and morale. This includes taking into account any recommendations from workload reports on marking, planning and data management. It’s also a good idea to take into consideration the potential impact on morale on any changes to staffing. Be proactive. If you hear rumours that people are unhappy, or ready to resign, there are background steps you can take to ensure your school is prepared. Alongside the usual conversation and counselling. Agencies can really be your ally here, if you use them wisely. Most reputable agencies will only charge a success fee for a permanent appointment. Enabling you to put the feelers out for replacement staff at no cost. Supply Desk also offer the option to ‘trial’ permanent staff using supply days. A great way to road test a potential new appointment. In order to prepare for handling staffing gaps and resignations, it’s a good idea to have some strategic contingency plans in place. Consider your options, the best plan might not always be the most obvious. For example, can you parachute in supply to cover staffing gaps rather than making a hasty appointment? Delaying the recruitment of permanent staff until the beginning of the academic year, when you have more choice, is an option to consider. Have you explored options you might have with partner schools? Collaborating with other schools means you could potentially recruit from their talent pool or share support staff to fill short term gaps. Another thing to consider is whether your mix of subject specialist teachers could impact your current staffing requirements, especially in Secondary Schools. Are you making full use of your staff’s subsidiary subjects? Can staff be trained to meet shortages in other subjects? A KS4 PE teacher will more than likely have qualifications in Human Anatomy or Biology. With some timetable restructuring, and additional training, they could potentially fill this type of vacancy should staffing gaps arise. Deploying support staff more effectively and efficiently can provide real solutions to staffing gaps. Is there potential to use the HLTAs and other classroom-based support staff that you already employ in more targeted ways? For example, working in teams across year groups, merging roles, or re-training? Balancing long and short-term costs is always a factor. However, if you do need additional staff, restructuring support staff can be a more cost-effective way to fill gaps without the need to recruit additional teachers. Graduates are also a great option to explore when considering additional support staff. Supply Desk run a Graduate Opportunities Programme to recruit recent graduates into support roles in schools. This serves as a way of home-growing your talent. Exceptional graduates, who are keen to explore teaching, are more cost effective to recruit than QTS teachers and can be put through SCITT. Helping you to build your pipeline for the future with staff you know will be a good cultural fit for your school. Review your current staff structure. Knowing what resource is needed to deliver the curriculum effectively can often show up potential ways to fill gaps internally. Are your teachers being used in the most effective and efficient ways? Timetabling changes, reviewing class sizes/pupil teacher ratios, ongoing professional development and strategic use of support staff are all ways in which you can avoid the need for additional appointments. Have you considered options around flexible working opportunities for teachers and leaders, where appropriate? If you do need to recruit additional teachers, could you potentially reach a wider talent pool by offering job shares/part-time working? 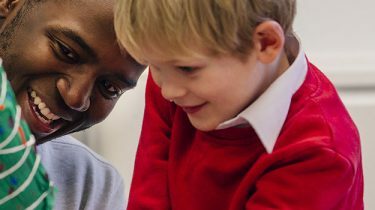 The Education Secretary held the first Flexible Working in Schools Summit in October 2017, aiming to boost support for flexible working in the teaching profession. The options outlined above are worth considering as alternatives to recruitment in unconventional or challenging circumstances.